Get away with Hilton for great deals on top destinations. Step into futuristic style in these men’s adidas shoes. One-of-a-kind yarn embroidery combines with a streamlined design for a trendy look that can be dressed up or down for any occasion. Not only is this shirt comfy and cute, but Ivory Ella also gives 10% of their proceeds directly to the American Heart Association! Loaded with safety features and just as easy to use, AVG Ultimate is designed with simplicity in mind, without compromising on security. Easter is the perfect time to escape and enjoy a holiday jam-packed with exciting activities and entertainment with Away Resorts. Check out top destinations like San Diego with Hilton! What’s yours is yours — keep it that way. Avast Internet Security now has an extra layer of anti-ransomware protection, for your important files and photos. Simply sit back, chill and relax in your holiday home with Away Resorts. It’s what holidays are made for after all. Cupid’s arrow struck us and we are in love with this Ivory Ella shirt! Where will you be traveling this spring? Let me know in the comments! I love hearing from you! i like travelling and i love the guide. 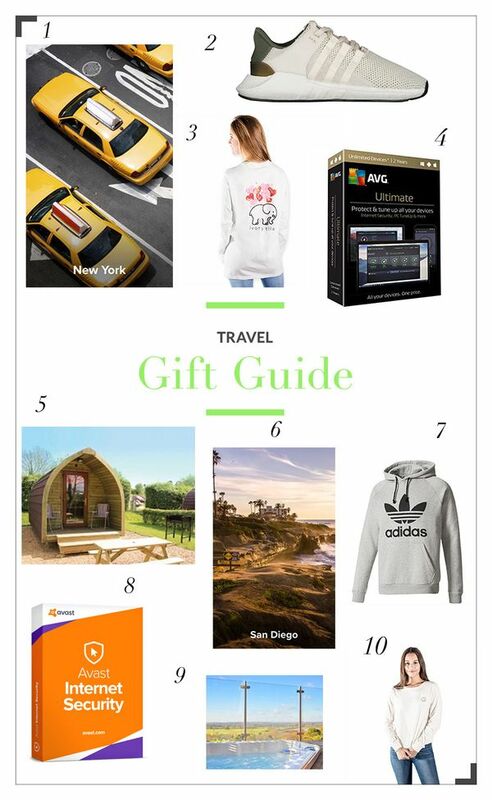 its awesome with so many different gift ideas my favorite one is Adidas as i love wearing them when i’m travelling. Ivory Ella seems so amazing and I am going to definitely check them out. Also, loving those sneakers – so stylish and comfortable! I love the back of the Ivory Ella tee. I love the Adidas Originals Trefoil Hoodie. Nothing makes me feel more like a vacation than a nice hoodie! We are traveling to the SC Coast for a Spring vacation. The Ivory Ella shirt would be perfect for the trip.